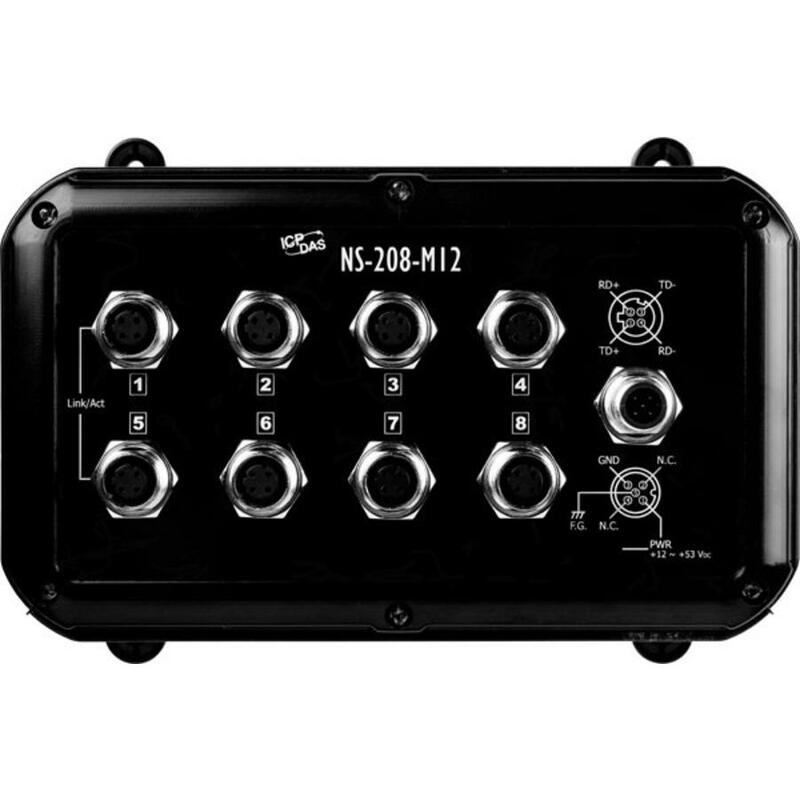 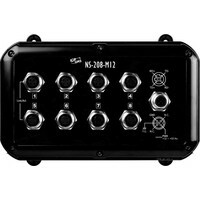 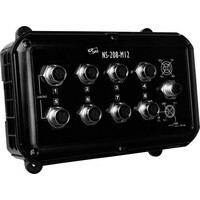 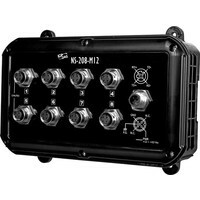 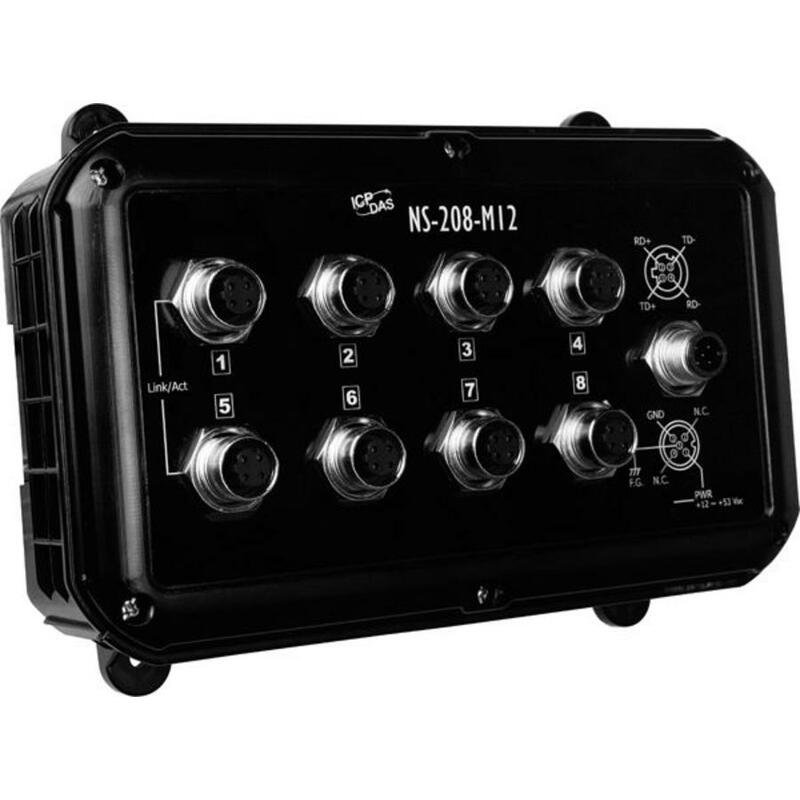 The NS-208PSE-M12-IP67/NS-208-M12-IP67 is designed for industrial applications in harsh environments. 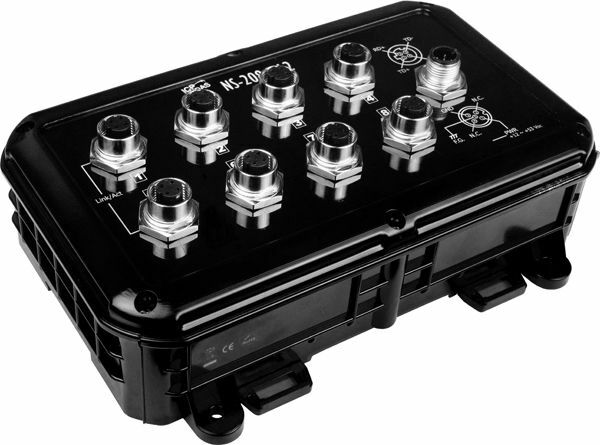 The M12 connectors ensure tight, robust connections, and guarantees reliable operation, even for applications that are subject to high vibration and shock. 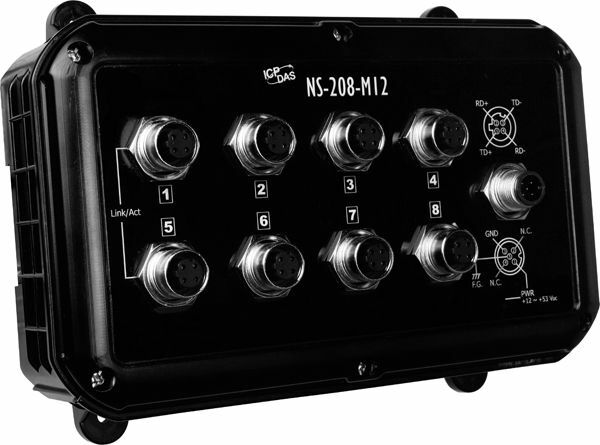 The NS-208PSE-M12-IP67 PoE switch provides 8 fast Ethernet M12 ports with 8 IEEE 802.3af compliant PoE ports. The switch is classified as power source equipment (PSE) and provide up to 15.4 W of power per port. 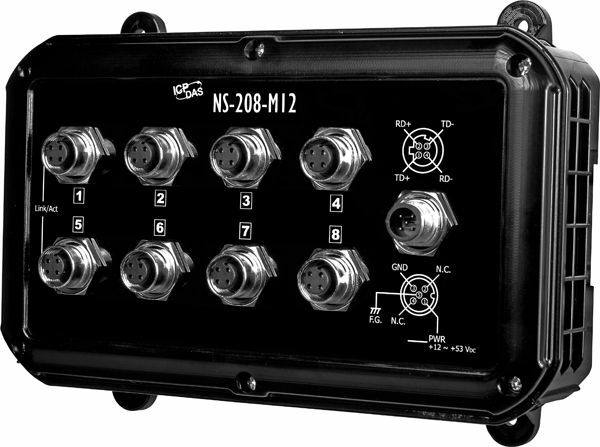 The Ethernet switch supports IEEE 802.3/802.3u/802/3x with 10/100M, full/half-duplex, MDI/MDI-X auto-sensing, and provides an economical solution for your industrial Ethernet network. 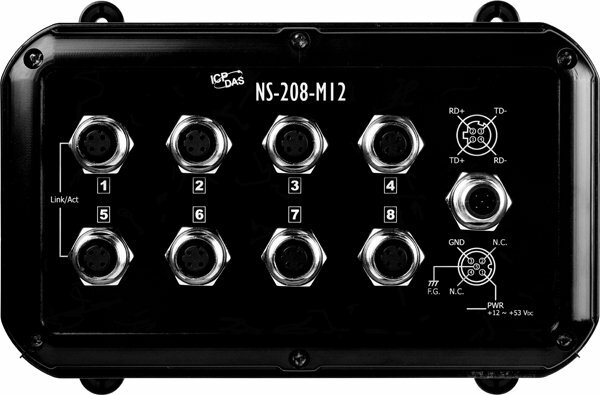 The NS-208-M12-IP67 provides a wide +12 VDC ~ +53 VDC power range to fit all the common power standards found in industrial automation, without external power converters. 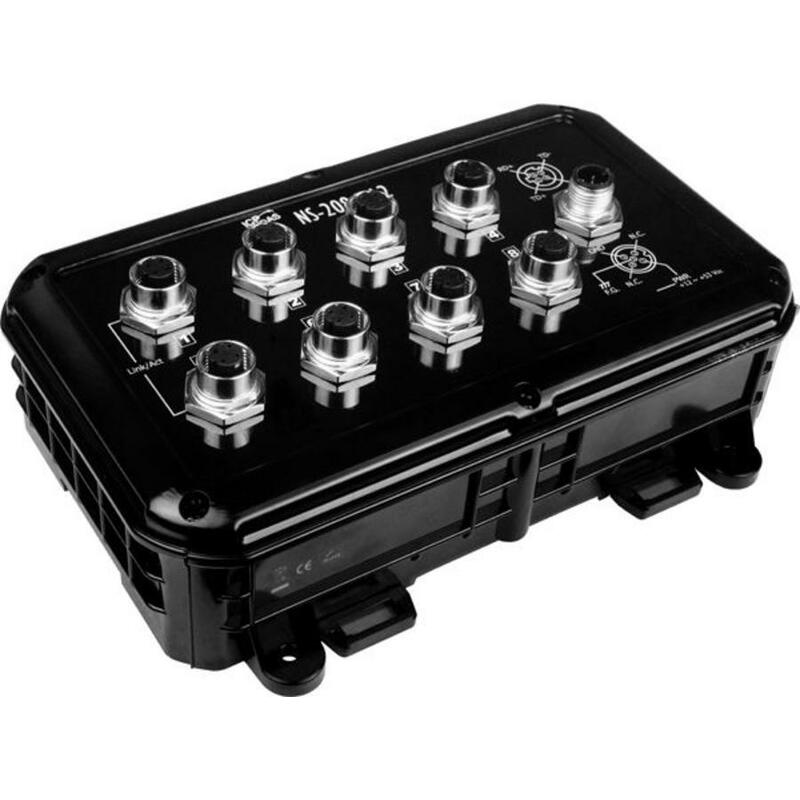 The wide power input lowers installation and maintenance costs.